Typical Job Costs:A basic patio deck built from budget materials can cost as little as $180 per square metre ($1620 for 9m sq). On the high end of the scale, paving supply and install can cost as much as $900 per square metre, but there are plenty of options in between the 2 extremes. 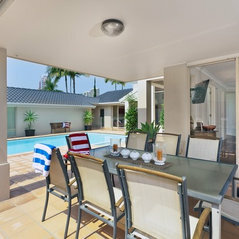 The job was completed smoothly and quickly, the builders presented themselves nicely and helped with any inquiries. I am very happy with the completed product, thank you. Good job. The guy who did my job. They were very professional, everything they told us would happen, did. Installed on time and looks great. Pro Patios did a fantastic job on my patio addition. They were professional, friendly and prompt and a pleasure to deal with. Warmly recommended. 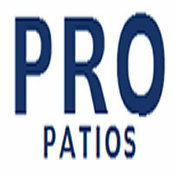 I had 3 patios built by this company and I was impressed by the final job and the integrity of the process. Keep up the good work. So happy with our new backyard patio! They transformed a boring space into an amazing beautiful work of art. We are very happy with the results. Professionals through and through!